"Caswell's store, Essex St., Cliftondale, Mass." written on image. 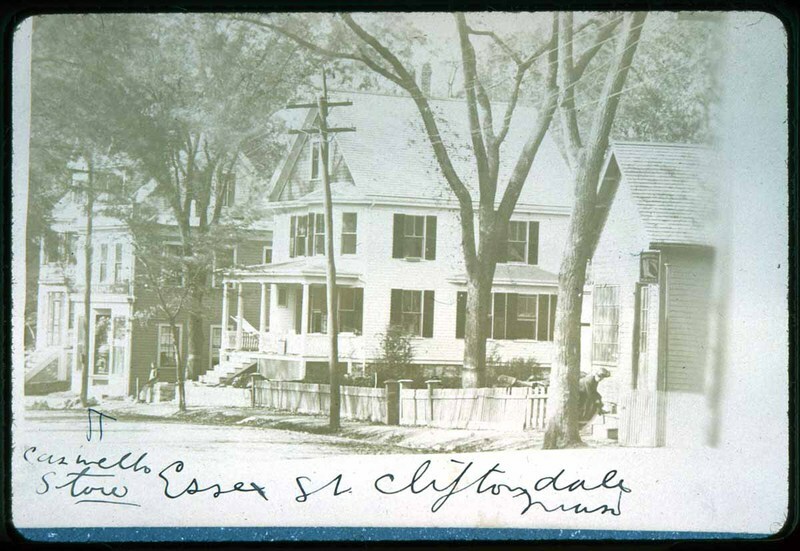 “Essex Street across the Street is Cliftondale School,” NOBLE Digital Heritage, accessed April 25, 2019, https://digitalheritage.noblenet.org/noble/items/show/5069.